Do organisations really understand the importance of environment when delivering People and Culture programs? Home / Design / Do organisations really understand the importance of environment when delivering People and Culture programs? Digital agencies have a natural creative, people, environmental and collaborative culture. Often they are of a more manageable size – by corporate standards, dozens, hundreds or very small thousands of people. Not often tens of thousands of people. They will, by their very nature be younger – in most cases not more than 20+ years old. They will have grown up with an ethos of creativity at their heart. This ethos ensures that they will have necessitated an ability to collaborate and share, hence their systems and processes will be organised around the ability to do so. Their teams will typically be organised around capabilities and skills, not politics (not that they don’t have them), legacy, reorganisations, or other historical interventions that cause continuous fragmentation that lead to excessive duplication of teams across the business. When they expand, they often take their existing model and replicate it in new locations, taking with it their sense of culture, ability to collaborate and create, hiring similar people and creating environments conducive to a prescribed way of working. This way of working is necessarily centred around a consistent design method which naturally brings together all of the capabilities, skills and teams of the agency. People who have only ever worked in agencies will see varying degrees of this model as they move around the industry, and will feel the kind of familiarity that ensures you can focus on sharpening your skills and capabilities, thinking, and ability to deliver. Of course, there are downsides. While agencies are organised for the people who work in them to be able to collaborate with one another, there is no guarantee that they will be able to collaborate in an equally equitable way with their clients. And in many cases, agencies can only gain so much penetration into a client’s working practices, ensuring that while they can affect a degree of change between the way a client interacts with their customers, there is no assurance that the client organisation is in any way organised internally to be able to support or sustain that change, deliver, distribute or communicate with their customers in a way that would ensure that they will get the most out of their mutual engagement. Over the last ten years I’ve seen an increasing trend of large organisations bringing digital and creative capabilities and services in-house, to varying degrees of success. Large organisations often have deep legacy issues, archaic IT, HR, and other internal policies, security concerns, structural issues, a lack of understanding of the creative or design process, and an assembly-line ethos that churns out variations on theme in their products and services. All of these issues, and many more, often lead people in these organisations to feel disconnected from the ability to be self-driven, empowered, thinking. Organisations try to stimulate this through corporate training that in one or two-day courses tries to teach them to think outside the box – often in organisations who themselves are so deeply buried in the box that they stifle the very ability they try to engender via training. And at the end of the day, how much of that training is really about driving real, significant corporate change, versus making employees feel that the company cares about them and that they can show to the world that they are “forward-thinking” and possible recruits that they provide the kind of environment where they will feel cared for and respected. For me, these efforts are wasted without considering an important element in developing a creative, design-led culture – environment. Agencies design their office spaces to be collaborative working spaces, spaces that naturally engender collaboration between people with different skill-sets and capabilities. In reality, the design of agency space is often equally driven by the fact that they are used to entice clients into working with them. They are designed to create an aspiration in clients that this agency works in a way that they themselves would like to work, that by engaging with this agency they will in some way also have the opportunity to experience some of the freedom of that environment. And so the way agencies design their environments can also be said to engender the kind of working and collaboration that they are known for, while equally acting as a sales driver in acquiring customers. For large organisations, of course, highly designed, open planned working spaces with collaborative tools, hardware and software, represent a different set of aspects for their business – risk and unacceptable cost. They often feel that they don’t require these spaces to deliver their products and services. Their Customers – in most cases – do not engage with the spaces in which their organisations products and services are designed. So therefore, seen as risky, unnecessary expenses, most executives feel they add little to no value to their organisation. 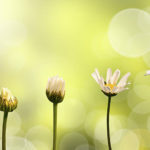 It begs the question – why do organisations have people and culture programs if they are not willing to make the changes to environment to support and engender the kind of change their programs are trying to promote? The space – the environment – is an accumulation of events, activities and opportunities: the thinking required to make it work is not just about the physical space, the desks, chairs, collaboration spaces, but also about the IT networks, collaboration tools, hardware, software, design method, and a clear delineation of roles and responsibilities that engender the ability to collaborate, think, create, design, and solve problems. This crosses the lines of HR, IT, property, and ultimately the strategy and vision of most organisations. Hiring creative people with the intent of engendering the kind of creative thinking you receive from an agency without providing an environment suitable to supporting their way of working is like hiring carpenters and not providing them with the right tools or place to work. In a matter of time, without the right environment, the kind of thinking and creativity you hoped to engender will disappear – along with good people who have become disaffected – because working in an environment that is non-conducive to them providing and challenging their best work engenders an assembly line ethos that will only give you more of the same product or service. When will large organisations realise that people and cultural programs can be an effect of not providing the right environment? Agency life is an accumulation of all of the things mentioned previously. Having a design method without a space to collaborate and create, limits our ability to engender thinking environments. Having creative people and a lack of collaborative systems, hardware and software to create, knowledge share and communicate, hampers our ability to co-create. If organisations want to create collaborative, co-creative environments, then they need to take seriously all aspects of what makes a creative environment. 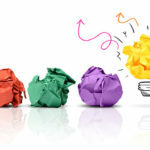 They can’t expect the kind of creativity and design thinking that will drive major step changes in their products and services when the people they hire spend half their time struggling to share an idea (or a file) with colleagues in the same office, remote locations, or don’t have the right software and hardware to begin with to demonstrate those ideas. And even worse, cramming people into a space – because for these organisations space is not an important selling point – even where these people are creative, and employ a design method, doesn’t engender creativity when those same people excel in environments where space provides them with the ability to think, collaborate, and create. Large organisations need to get their act together when they consider space, people and culture and be realistic about what it is they are really trying to create. Selecting a few ingredients from a list and ignoring others doesn’t deliver a meal. It creates an dissatisfying experience.